Here I am, watching the Olympics Opening and updating my reading. I will continue to update this post. 7/27: The book I was reading, Island of Sequined Love Nun, was so intriguing that I ended up finishing it this morning, in a complete lack of self restrain and in spite of all the things that I should be/need to be doing. I started a little bit on Mr. Ding’s Chicken Feet, a travelogue/memoir. I also started on an audio book, Full Circle by Michael Palin. I thought this is a rather appropriate title, as Michael Palin is British, and the Olympics symbol is five circles. 7/28: Finished what’s left of Bras and Broomsticks. 8/6: I was on a business trip, so I set aside the books I was reading (which are promised to other BCers already and I hate losing them) for something that I can just read and release at the end of my trip. I finished From Here, You Can’t See Paris, which had a bookmark on pg 226 for a long while, in time for the BC meetup at the city I was visiting. And I suppose you can say the title is true for London, the Olympics site. 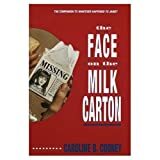 Also read Remember Me When I’m Gone and The Face on the Milk Carton, both quick thin volumes for releasing. During my return flight I read Her Royal Spyness, selected because the Queen did a fine act in the Olympic opening ceremony! With a tight schedule and many networking opportunities, I got a lot less reading done during the trip than expected. Not sure if I will meet my goal with less than a week to go. 8/8: Finished Her Royal Spyness this morning, continue to gnaw on Mr. Ding’s Chicken Feet where I left off before the trip. Now at 1045 pages, 60.45% of my target of 1726. 8/10: Finished Mr. Ding’s Chicken Feet, quite a funny memoir. I won’t even attempt any tenuous link to Olympics for this title, I just read it because I own it to another BookCrosser in a travel swap. Almost 75% of target. Now I will try to finish off The Cheese Chronicles, a book I was reading during my trip. 8/12: Finished The Cheese Chronicles and enjoyed it trememdously. I started on Karma Cola, picked because Coke is the official Olympics sponsor (hey you can’t say those millions of advertising dollars go to waste) but only managed 36 pages. Audiobook-wise, at the end of the day I was half way through Full Circle, and one CD left on Candyfreak. All tallied up, I met my goal of 1726 pages and more. Pretty good! Cheering you on. I’ve had the luxury of getting in some extra reading time this past weekend and then today on the airplane.